With the federal government approving Kinder Morgan's Trans Mountain pipeline and Enbridge's Line 3, Canadians are left with a poignant example of clashing views on economic expansion and environmental protection. Rationing Earth, a groundbreaking new book by industrial designer Herb Bentz, introduces the idea of using design thinking to help break the environment-versus-economy deadlock. 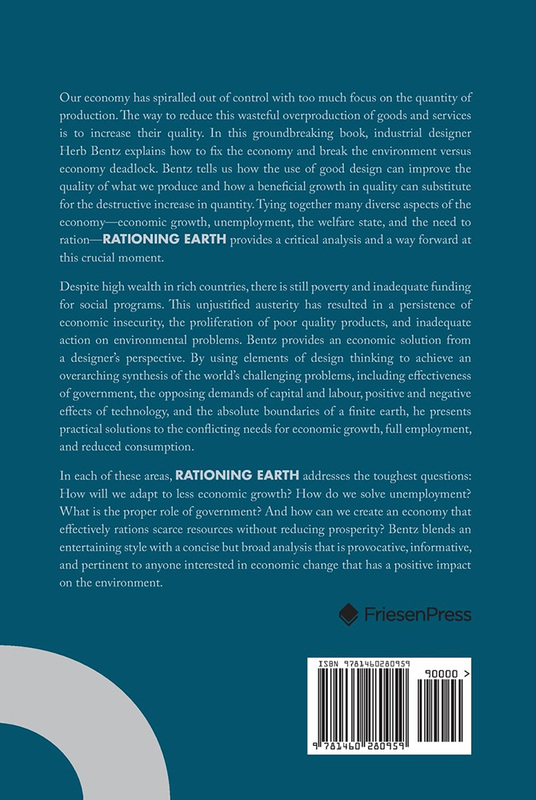 In Rationing Earth, produced through FriesenPress, Bentz explains how the use of good design can improve the quality of what we produce and how a boost in quality can substitute for the destructive increase in quantity. Tying together various aspects of the economy—economic growth, unemployment, the welfare state, and the need to ration—Rationing Earth provides a critical analysis and a way to move forward at this crucial moment. Bentz presents practical solutions to the conflicting needs for economic growth, full employment, and reduced consumption. Bentz asks: How will we adapt to less economic growth? How do we solve unemployment? What is the proper role of government? And how can we create an economy that effectively rations scarce resources without reducing prosperity? 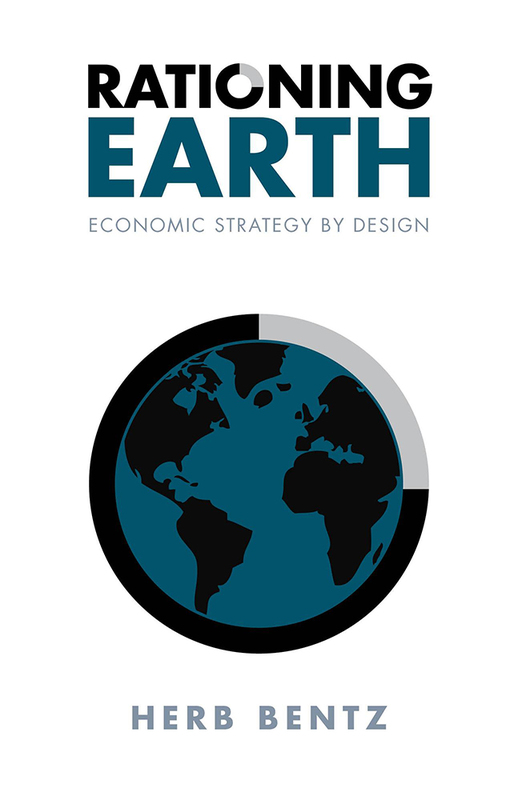 Rationing Earth is pertinent to anyone interested in economic change that has a positive impact on the environment. “Economic austerity has resulted in the proliferation of poor quality products made ever cheaper and less durable to satisfy an increasingly cash-strapped consumer. These products, underused or quickly worn out, fill our landfills and cause excess pollution…. Rationing Earth proposes a radical strategy to bring consumption in line with available resources. It is about how our economy functions, how it must change, and how to reduce our consumption and impact on the planet without a significant sacrifice to our prosperity,” says Mr. Bentz. Rationing Earth is available for order from the FriesenPress bookstore, Amazon, Barnes & Noble and from most online book retailers; or for immediate purchase at Inform Interiors (50 Water Street, Vancouver, BC).